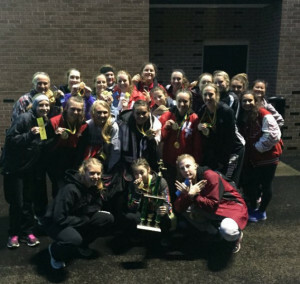 The New Palestine track teams swept through the Hancock County meet Wednesday at Mt. Vernon, winning both the boys and the girls titles. For the boys, it was a repeat performance atop the county. Brady Walden was named Athlete of the Meet as the Dragons tallied 103 points to beat Mt. 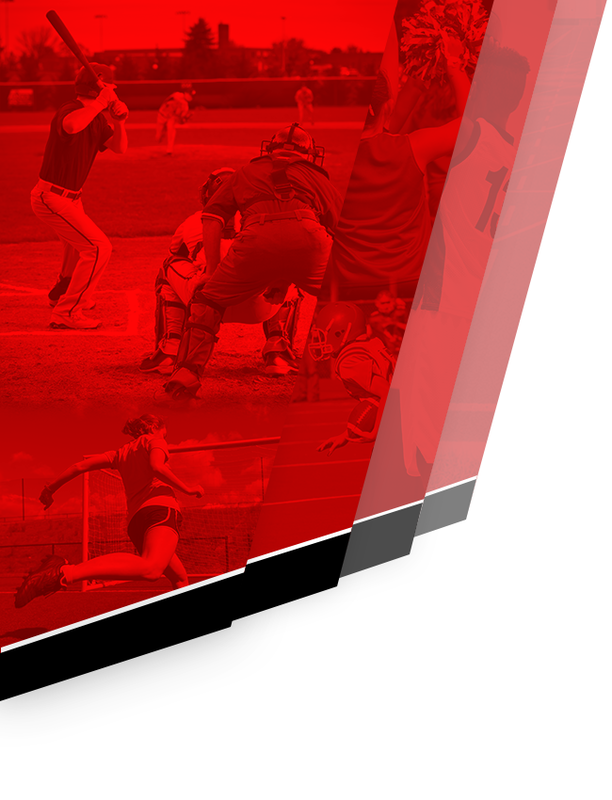 Vernon (84), Greenfield-Central (33) and Eastern Hancock (24). The girls tallied 99 points to beat Greenfield-Central (79), Mt. Vernon (44) and Eastern Hancock (15). Jordan Reid was named Athlete of the Meet. 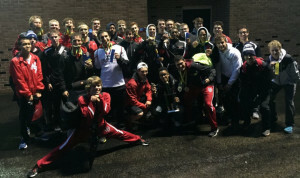 The Dragon boys took home several individual county titles. Brady Walden won the 100 (11.41) and 200 (22.71), as well as the long jump (21-5). He also joined DuRon Ford, Adam Brickens and Colby Jenkins in the winning 4×100 relay (43.52). Ford was third in the 100, giving the Dragons two top-three finishers in that sprint. In the 400, Sam Voelz (50.33) and Spencer Corey were 1-2. In the 800, Chase Crowder (2:06.10), Caleb Eagleson and Sam Voelz swept the top three spots. In the 1600, Eagleson (4:32.16) and Crowder were 1-2. Eagleson also won the 3200 (9:55.33). Jared Reed won the 300 hurdles (42.35) and was second in the 110 hurdles. Laine Schonauer won the high jump (6-1). The Dragons also swept the relays. 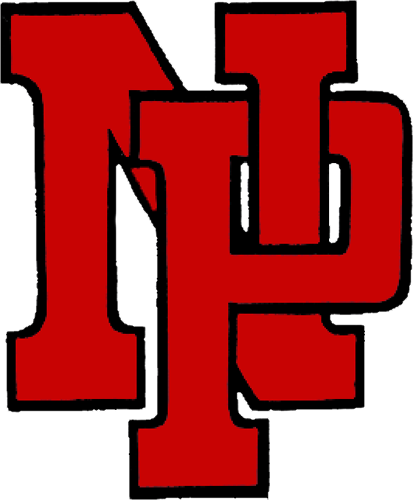 In addition to the 4×100 squad that set a county record – breaking one set by NPHS in 2009 – the 4×400 relay of Brickens, Jenkins, Corey and Voelz won with a time of 3:26.80. The 4×800 relay of Connor Dobbins, Corey, Voelz and Eagleson won with a time of 8:39. 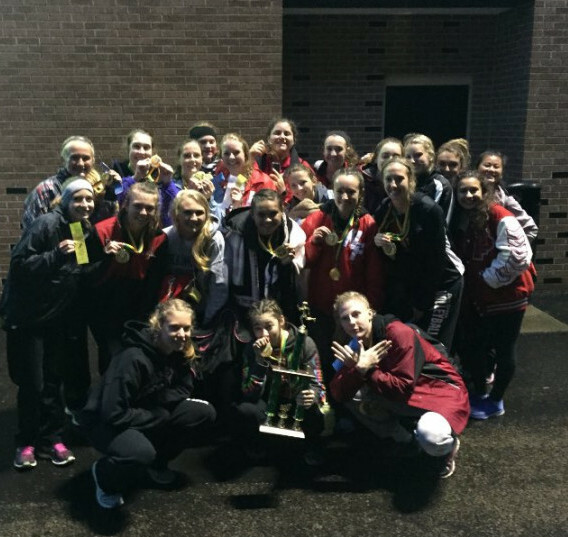 In the girls meet, the Dragons also took home several first-place ribbons. Reid won the 100 (12.52) and 200 (25.70). Victoria Crowder won the 400 (1:00.73). Kaylin Casner (5:35.72) and Grace Voelz were 1-2 in the 1600. Casner also won the 200 (12:23.5) with Voelz finishing third, and Casner was also second in the 800. Grace Shanahan was second in the 100 hurdles, with Kylie Dhonau placing third. Lillie Cain won the shot put (38-6) while Emily Jonas was third. Cain was also third in the discus. 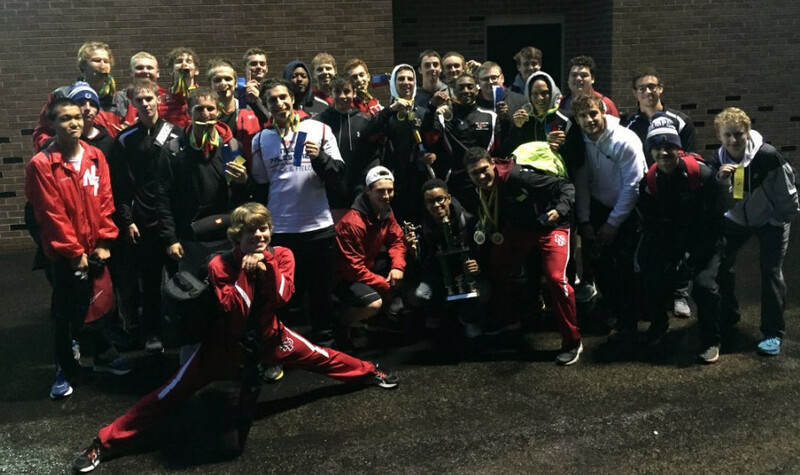 The Dragons swept the relays. Shanahan, Dhonau, Olivia McKilligin and Reid won the 4×100 (51.6). In the 4×400, McKilligin, Sophia Taylor, Crowder and Reid won with a time of 4:12.6. In the 4×800, Grace Labanauskas, Voelz, Crowder and Casner won with a time of 10:13.51. The next events will be the Hoosier Heritage Conference meets next week. 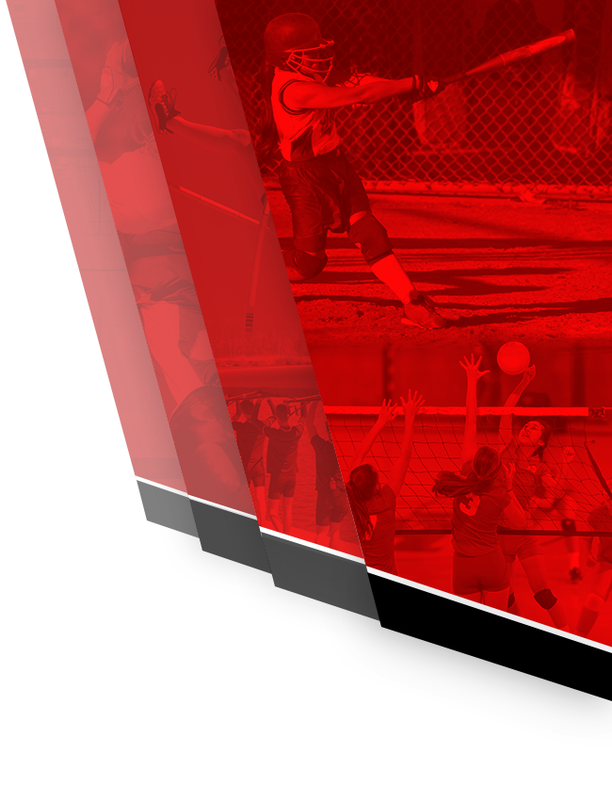 The girls will compete on Tuesday, May 9, while the boys compete on Thursday, May 11.